Posted on January 3, 2018 February 1, 2018 by Marlene Hoenig - You are one of God's Treasures! 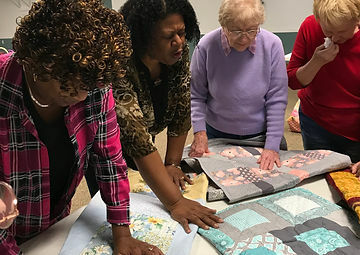 We have been given several handmade quilts which have been prayed over and will be given to women who have been delivered from abuse, trauma, crisis, domestic violence and trafficking to remind them God knows their name. See Laura’s Quilt testimony for whom one of the quilts is named after. Laura was a strong-minded gal that always knew what she wanted. She was a beautiful singer and excelled in all she did. Laura accepted Christ at the age of 8 and made it her plan to minister to lost teens and that is how she entered Heaven. She was taking a lost teen girl home, witnessing to her new friend. Laura was one month out of graduating High School. Her favorite color was lime green, and her favorite song was Jesus Lover of My Soul by Phillips, Craig and Dean. May this quilt bless you in life and keep you comforted in all your journey of life. While creating this quilt I was reminded that these kitties are playing and frolicking peacefully. As I finished the quilt I then had to “quilt it.” Then it came to me to use these circles known as “Yoyo’s”. This would be the perfect way – representing kitties playing in a carefree world – lying on their backs battling yoyo’s dangling from above. Let this quilt be a reminder that life can be carefree and free from the struggles. Praying each time you wrap or cover yourself with it you will be able to be covered by peace and carefree smiles. Next Post Acceleration – It’s Time!